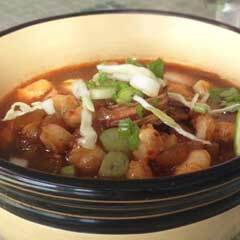 All our soups are made from scratch with the freshest ingredients! 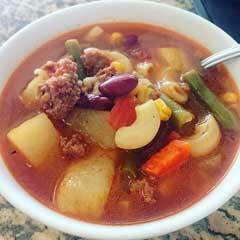 This soup is a classic recipe with ground beef, lots of vegetable, and irresistable flavor. 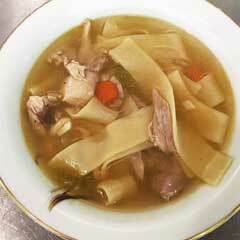 This soup features chicken, celery, carrots, and noodles. 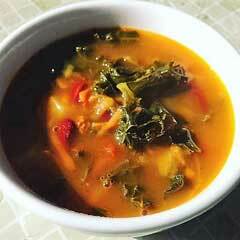 Portuguese vetetarian soup with kale, potatoes, soy chorizo, turnip, carrots, tomatoes, kidney beans. Pork shoulder with dried chili peppers, pato sauce, onions, cumin, oregano, hominy. 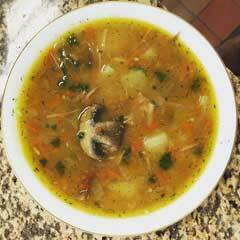 Polish yellow split pea soup with pork ribs, carrots, potatoes, onions,and mushrooms. 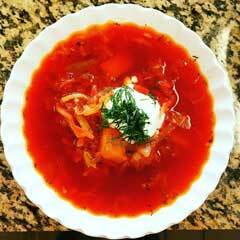 Eastern European soup with pork or beef, cabbage, potatoes, onions, garlic, carrots, beets. 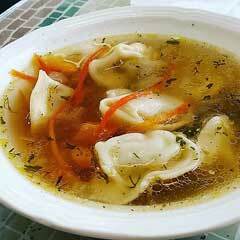 Russian style ravioli filled with meat in a savory broth with onions, bell peppers, carrots, cabbage.